A recent discussion has unleashed regarding the 1% of the American population which is the group of people that earn the most on a yearly basis. One of the most important points which have been highlighted in this discussion is that economic inequality is directly linked to skill, although there are many people who would prefer not to discuss this gap. The article on Opinionator suggests that one of the solutions to the problem is to bring back the labour unions. 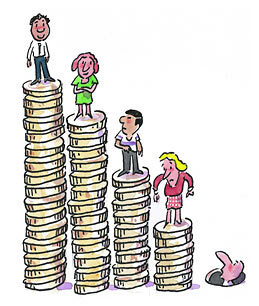 Re-instatement of the labour unions will help to close the economic inequality gap as the unions fight for fair remuneration which would mean that more families will be able to afford education for their children.